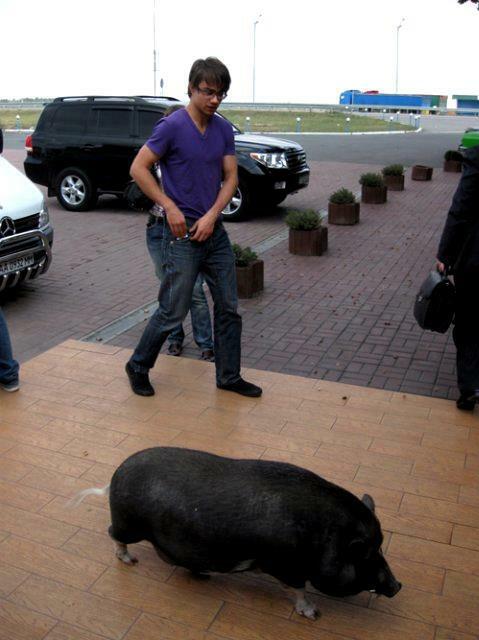 Alex and pig. Hahahahahaa poor this pig. Wallpaper and background images in the Alexander Rybak club. This Alexander Rybak photo might contain truie and cahier des charges.